It’s May! 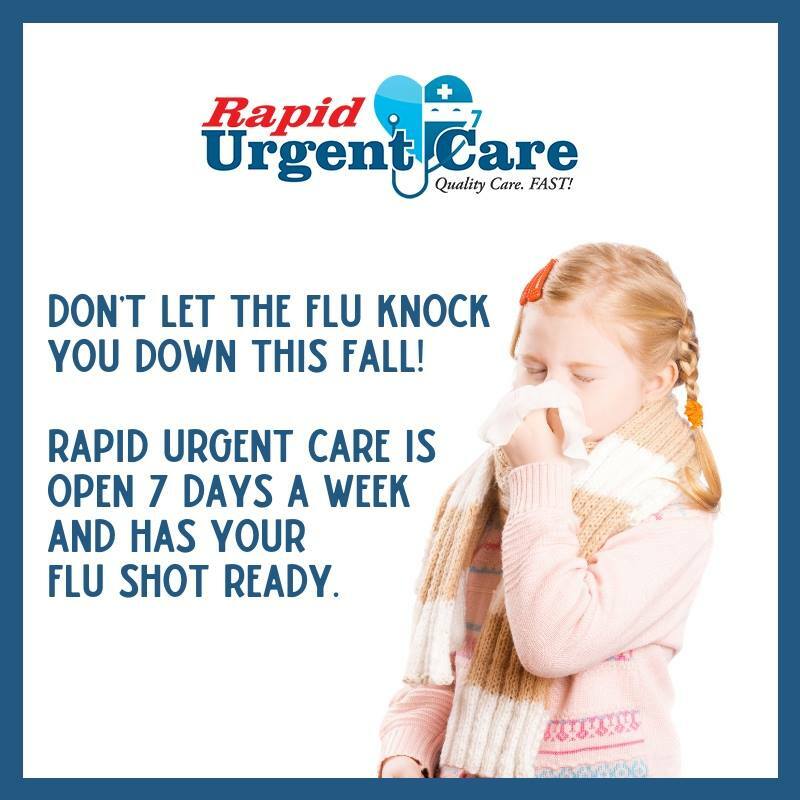 School is almost out and a long summer of fun awaits. For my family, a trip to the beach is at the top of our summer to-do list and, one of our traditions is taking family pictures at my favorite place. So it becomes the question of, what should everyone wear. 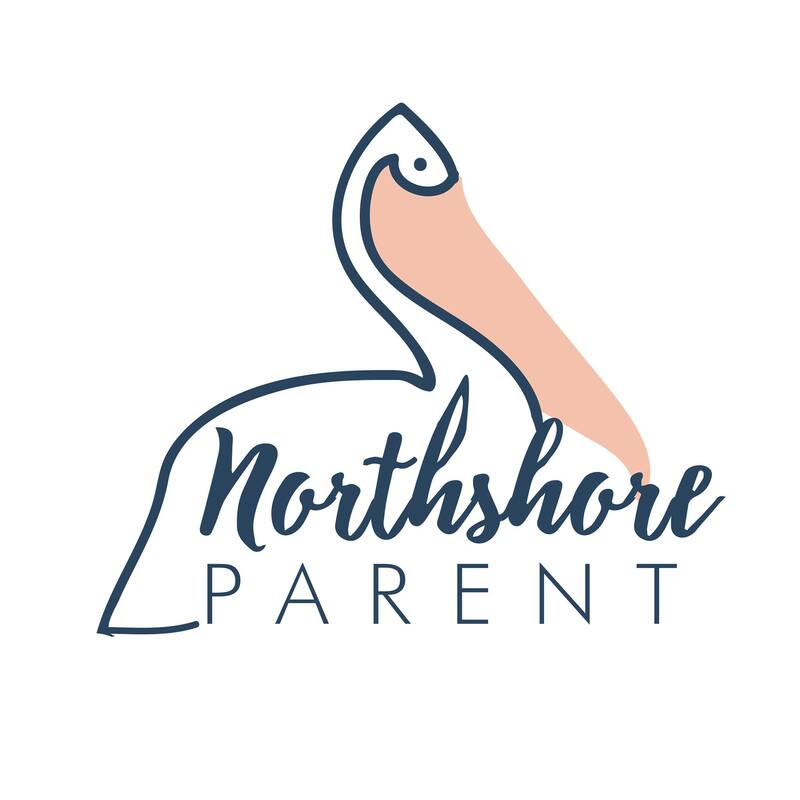 If you’ve read Northshore Parent for any length of time, you might have figured out that I’m slightly obsessed with children’s clothing and I am always up for the challenge of finding the perfect set of matching outfits for the occasion. Last year, I had the opportunity to work with Shrimp and Grits Kids, to review their spring 2014 line and do a fun giveaway for our readers. 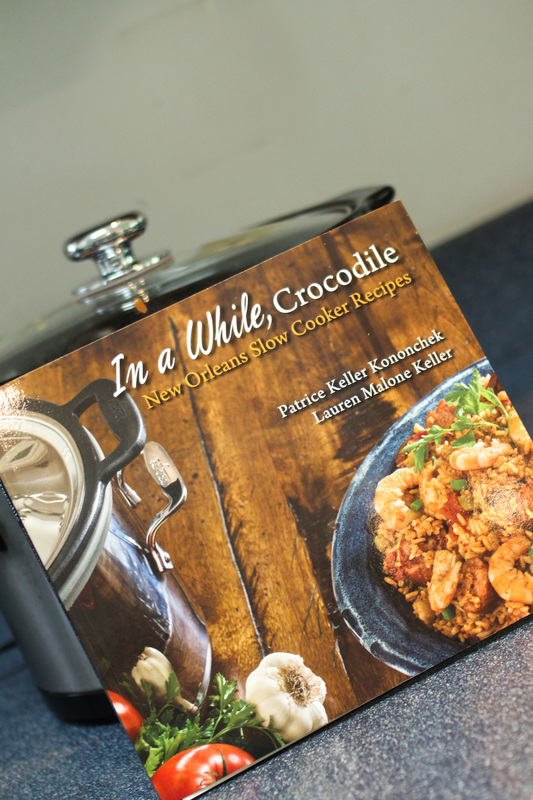 And, how thrilled am I to say that we are working with Shrimp and Grits Kids again, for another review and giveaway! 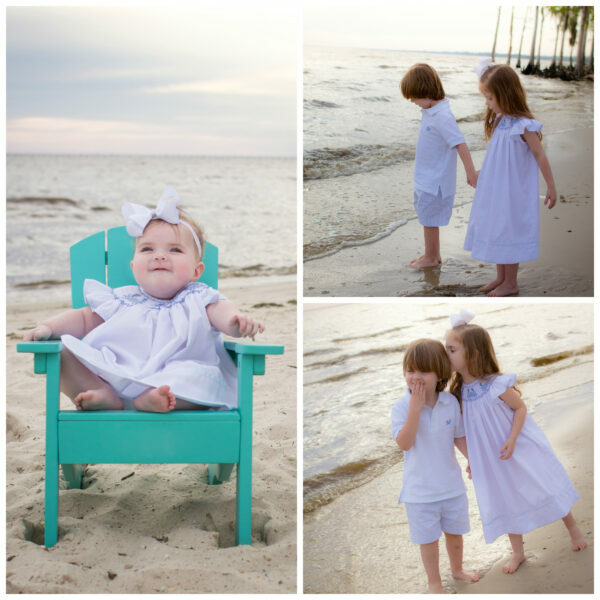 I was just beginning the search for beach portrait outfits when a rep from Shrimp and Grits Kids told me about their blue crab line in their Spring 2015 line. It was love at first sight. And that’s before I actually even had the outfits in my hands and felt the beautiful fabric! 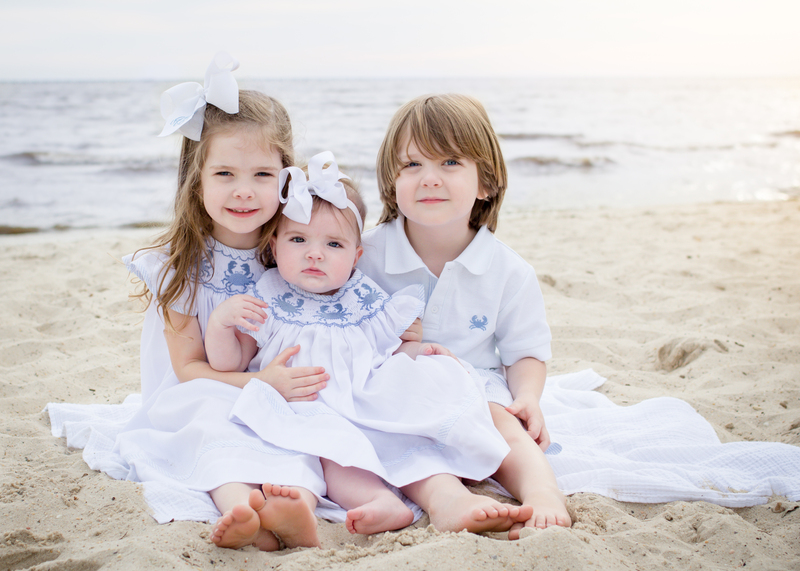 As they are based out of coastal South Carolina, Shrimp and Grits Kids knows exactly how to dress your children for beach portraits and coastal life in general. With outfits that have themes like shrimp, sailboats, crabs and mermaids, they are perfect for life on and around the water. When the outfits arrived and I started working on this blog post, I knew that the best way to show them off to Northshore Parent readers was to photograph them at the “beach”, out at the state park. The fabric on the dresses is so pretty. It’s a lightweight cotton piqué with just enough body to stand up to a photo shoot hot and humid afternoon, but still keep your little one cool and comfy. The angel sleeves and the hems of dresses have beautiful blue seersucker trim that match the shorts of the big boy outfit (or a Jon Jon or bubble if you’re lucky enough to have a little guy around). The smocking features happy crabs in the perfect, beachy shade of pale blue and each stitch is absolutely perfect. Big brother’s shirt has an embroidered crab and seersucker accents to match the shorts. After getting a little bit sandy, and a little bit damp during our shoot, the outfits were washed, hung to dry and looked brand new in the morning. Perfection. If you’ve never shopped Shrimp and Grits Kids before, now is the time – they are having their spring sale and things are at great prices. You can access the sale here. 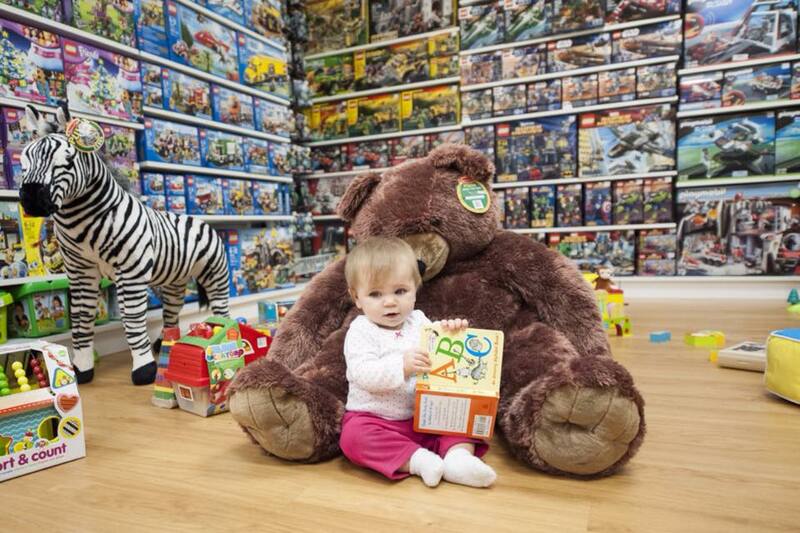 There are so many beautiful collections in this year’s Spring catalog. I may have to shop ahead for next summer’s beach portraits – the “Beach” collection in khaki and white is just too pretty. And, how fun are the tab outfits? I love that you can use one shirt or dress or shortall for different occasions just by changing out the tabs. I’m thinking we may also need some mermaid outfits. 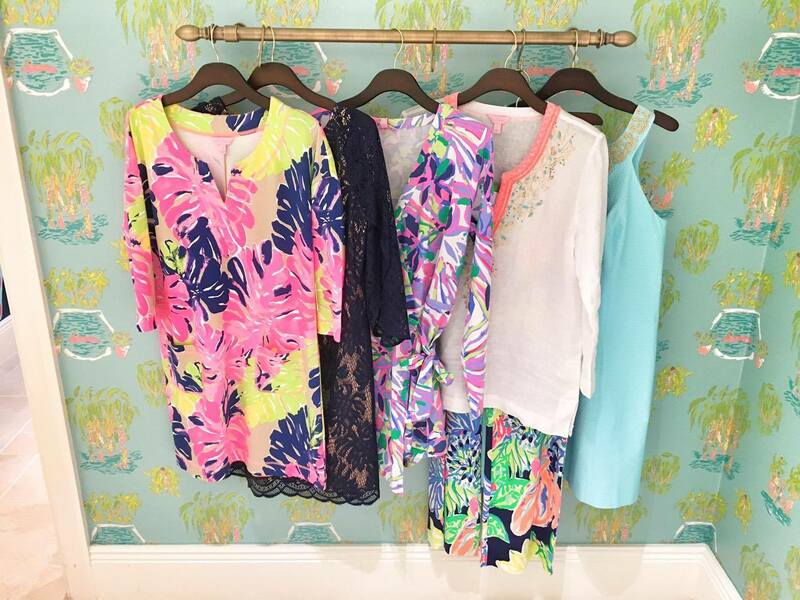 A little girl can never have too many mermaid outfits, can she? I love that there are so many options for matching and coordinating outfits. I like to put both of my girls in dresses but there are so many precious little girl bubbles to differentiate big sister from little sister. So many perfect options for family portraits. I wish there were versions for me of some of the seersucker pieces – it’s so pretty! I’ve shared my love for this brand with friends who have also become fans. And, it’s so much fun to share the love with our wonderful Northshore Parent readers with the chance to win a $50 gift card to Shrimp and Grits Kids. Entry form is below and we’ll pull a winner next week. Good luck!